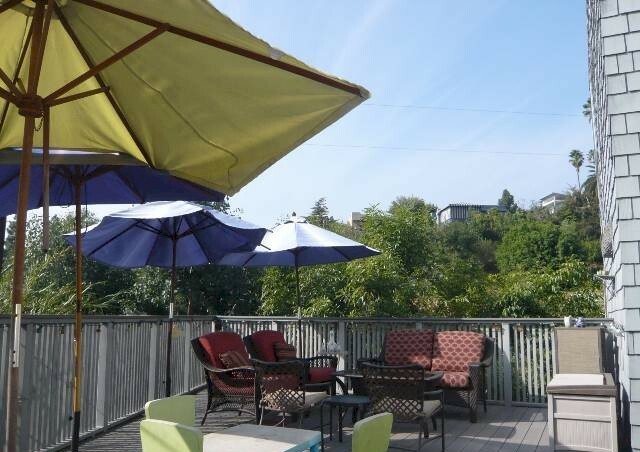 Bank owned Steven Hill architectural for sale in Silver Lake If you have been hoping to find a distressed property in a great area of Silver Lake, this bank owned Steven Hill architectural at 1700 Redcliff should be a pleasant surprise. Unfortunately it is not in the Ivanhoe school district but it’s still in a terrific Silver Lake neighbor with close access to all Silver Lake has to offer. Steven Hill was one of the most prolific architects working in Silver Lake in the 1980s, but apparently he continued to design homes into the 90’s as this property was completed in 1998. 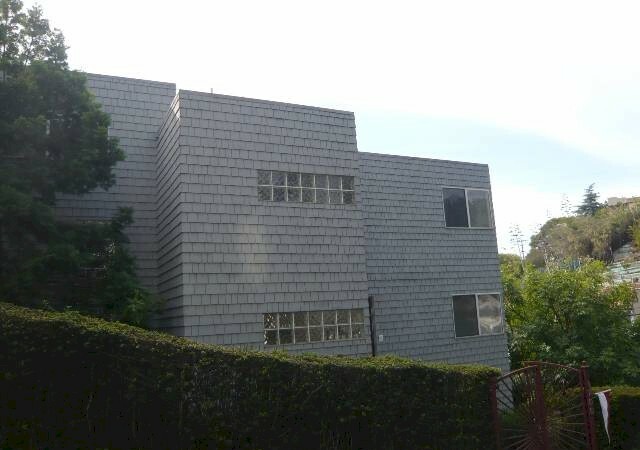 Unlike most of his local projects, the house on Redcliff is covered entirely with shingles- quite a departure for other Silver Lake and Los Felz homes of his design. The entrance opens to a spacious living room with a fireplace and spreads out to the kitchen and dining room. The most recent owners added a huge deck off the dining room that allows for great indoor-outdoor flow for entertaining. There are 4 bedrooms, 2.5 bathrooms in 2,620 sf of living space. The three story house has direct access from the attached 2 car garage and the exterior is surrounded with shrubbery that provides both privacy and a sound barrier from any traffic noise from the street below.